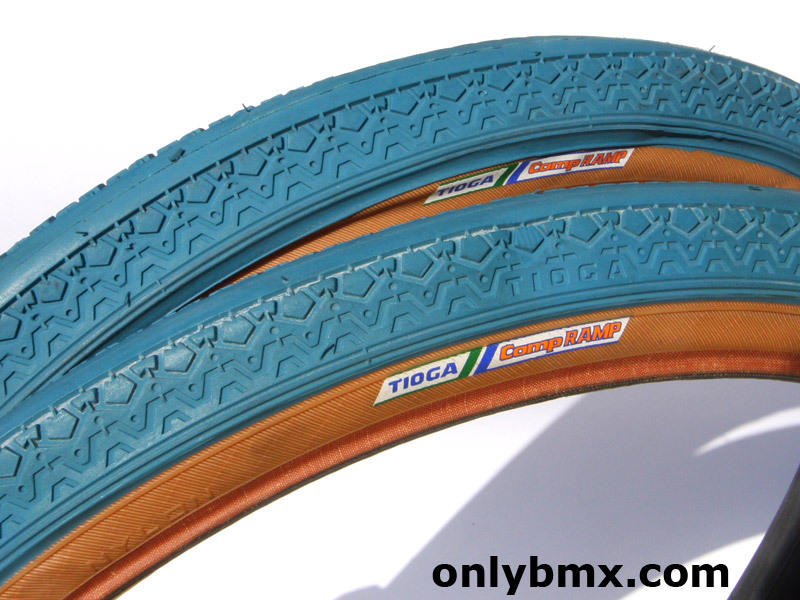 Pair of Tioga Comp Ramp freestyle BMX tyres for sale. 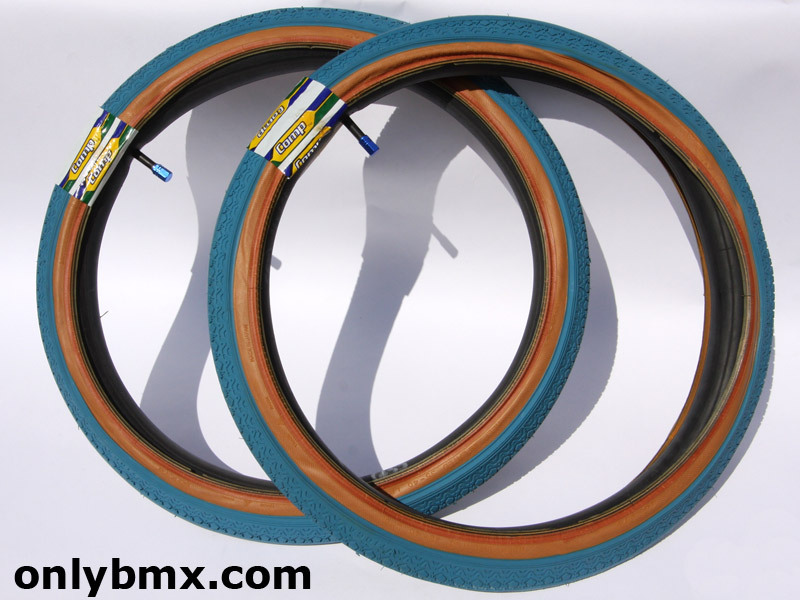 They are both 20 x 1.75 size and are new/NOS and never mounted. The still have the packaging labels attached. The skinwalls are in great condition as can be seen from the photos and not subject to drying out or discolouration. Comp Ramp labels are clean and intact. 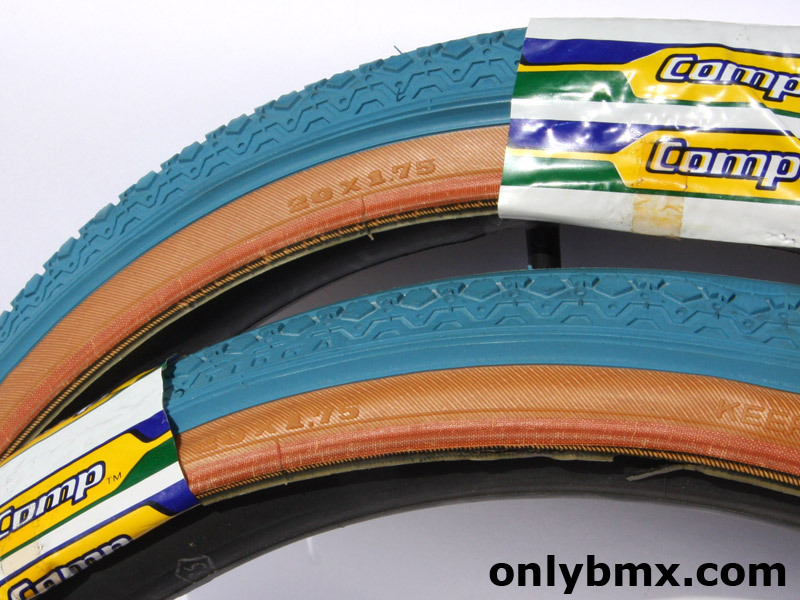 Mount these on any late 80s onwards freestyle build. 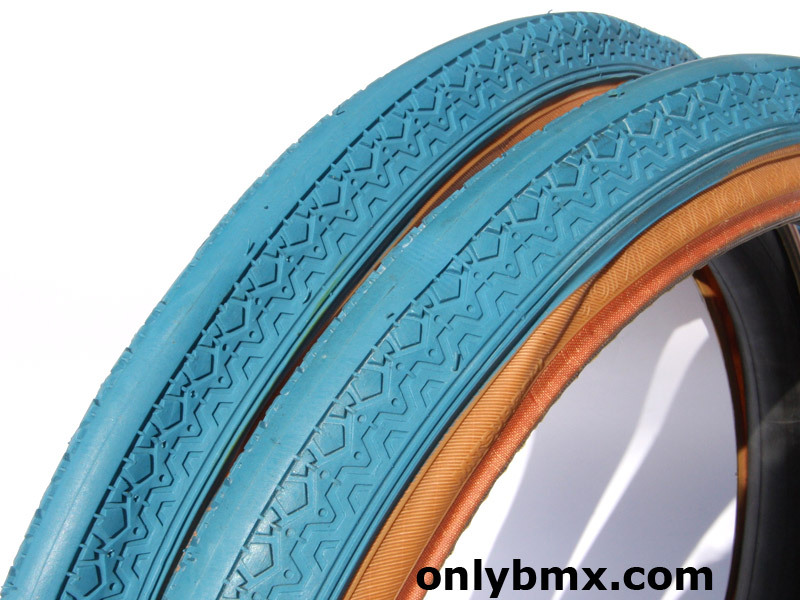 Be different and go with them over the Haro BMX tyres on your Master or Sport. Heck, throw them on a Skyway Street Beat if that’s your thing. These are not recent reproductions and I have owned them for years. 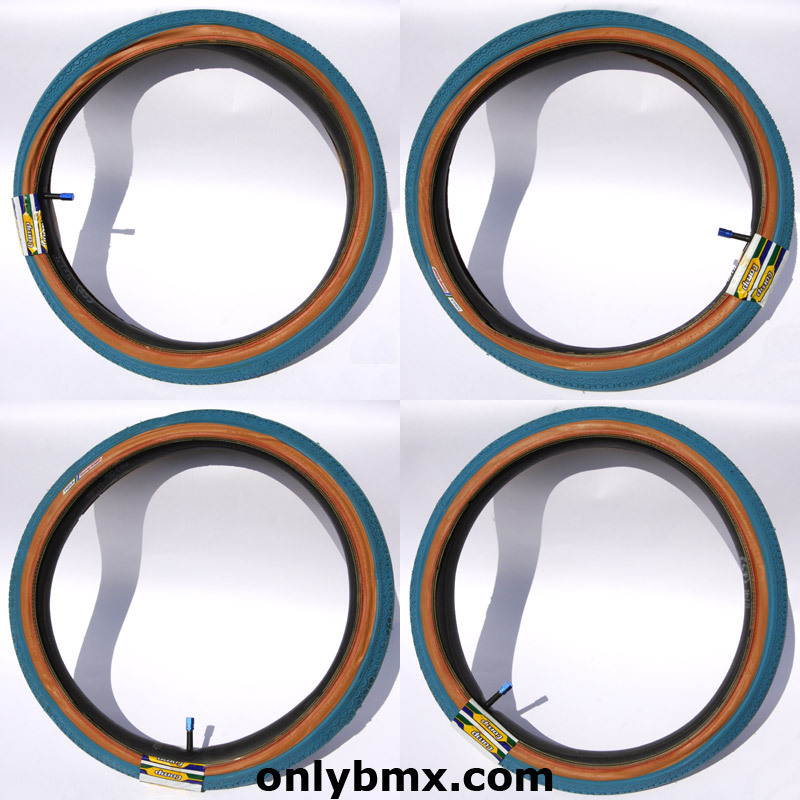 Tubes are not included, it’s just easier to photograph tyres with them.